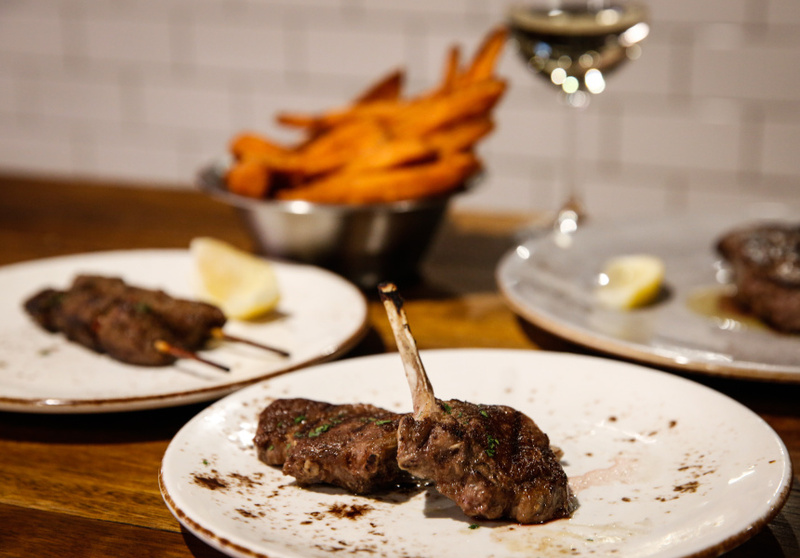 If a trip to your local butcher conjures happy childhood memories of being handed a twiggy stick to enjoy while awaiting the family’s weekly meat order, Macelleria is bound to spark your interest. 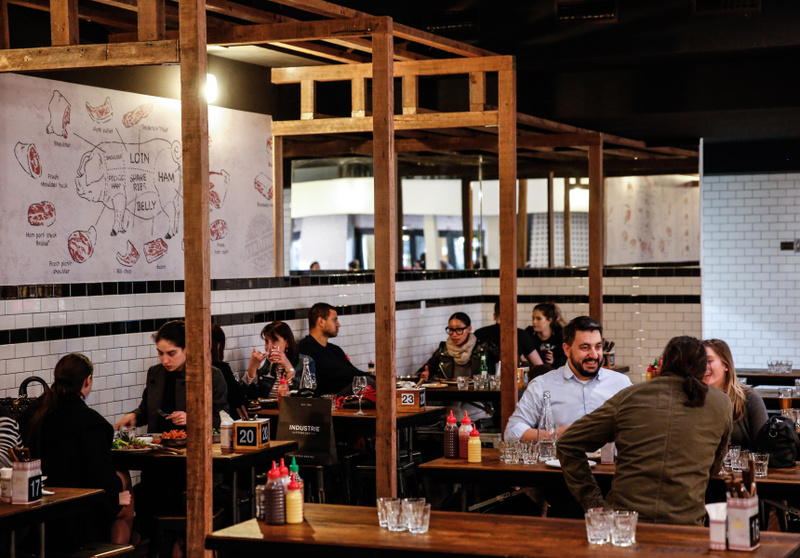 You can both buy take-home steak and eat on-site at this butcher-meets-diner from Peter Zaidan, who opened the Newtown site in 2017 following the success of his Bondi location. Take your pick from Macelleria’s burger or dry-aged steak menus and settle in with a drink from the well-stocked bar that lines the back of the vast 190-seat space. 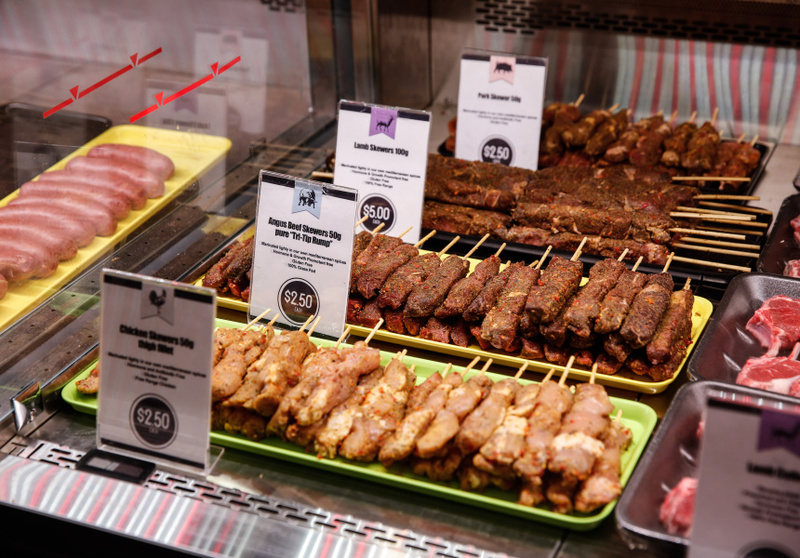 Afterwards, peruse the produce laid out in the front counter, which includes a solid range of patties, sausages, skewers, pork ribs and baby back ribs ready to cook. Burger patties are made with Tasmanian Cape Grim grass-fed beef. If your appetite for meat is on the lighter end of the scale, vegetarian burgers, eggplant parmigiana, grilled salmon and a selection of salads are also available.